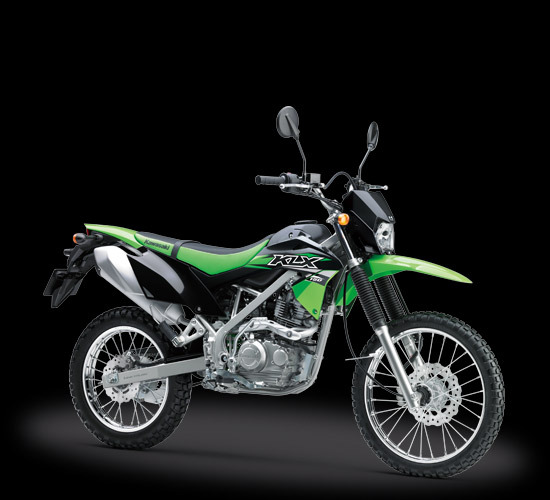 The Kawasaki KLX 150 series is retailed in Indonesia in four trim options. Kawasaki Indonesia has released the 2017 Kawasaki KLX 150, 2017 Kawasaki KLX 150BF SE Extreme, 2017 Kawasaki 150BF SE and 2017 Kawasaki KLX 150BF with new body colours. The standard Kawasaki KLX 150 is powered by a 144 cc mill producing 12 PS of power and 11.3 Nm of torque. The standard KLX 150 and the KLX 150BF trims are available in Green and Black. The Kawasaki KLX 150BF SE will be offered in Blue and Green shades while the flagship KLX 150BF SE Extreme will be offered in Blue-Yellow and Blue-Orange. The standard Kawasaki KLX 150 gets a 19-inch front wheel and a 16-inch rear unit with standard 33 mm telescopic fork unit in the front. The Kawasaki KLX 150BF gets 35 mm upside down fork in the front with a 21-inch wheel up front and an 18-inch unit in the rear. The Kawasaki KLX 150BF SE is based on the KLX 150BF and gains a hand guard and an engine guard. The Kawasaki KLX 150BF SE Extreme has a beefed up suspension setup and blackened rims like the KLX 150BF SE. 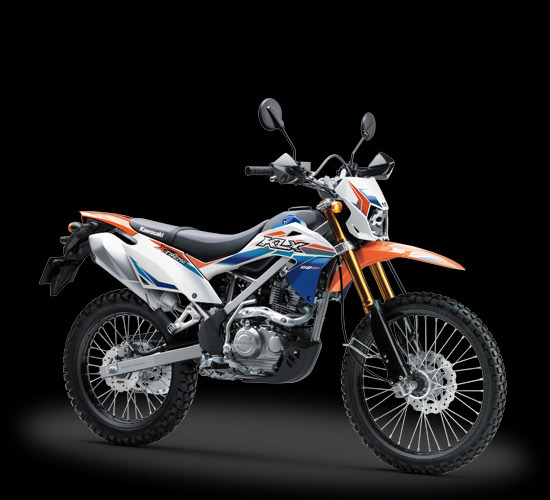 The Kawasaki KLX 150 starts at IDR 28.8 million for the standard trim and goes up to IDR 34.5 million for the top end Kawasaki KLX 150BF SE Extreme (pictured). All four variants are powered by a 144 cc single cylinder air-cooled mill coupled to a 5-speed gearbox. The SOHC engine is capable of producing 12 PS of maximum power at 8,000 rpm and 11.3 Nm of peak torque at 6,500 rpm. The Kawasaki KLX150 has been priced at IDR 28.8 million. The Kawasaki KLX 150BF, Kawasaki 150BF SE and Kawasaki KLX 150BF SE Extreme are priced at IDR 32.4 million, IDR 34.1 million and IDR 34.5 million respectively.